Many travelers have the misconception that travel insurance will cover any health-related issues that may impact their trip, such as pregnancy. However, travel insurance is a highly regulated industry, and policies can only cover specific events that are listed within their legal certificate. In order for a traveler to be covered for pregnancy, it must be specifically listed in the policy they buy. But is pregnancy commonly covered by travel insurance? 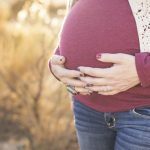 Travel insurance comparison site, Squaremouth, explains if and when travel insurance covers pregnant women. Can I Be Covered to Cancel My Trip If I’m Pregnant? Most travel insurance policies exclude pregnancy as a covered reason to cancel a trip if a traveler is pregnant at the time they buy their policy. However, some policies may include Trip Cancellation coverage if the traveler gets pregnant after buying a policy. The only way travelers can guarantee themselves cancellation coverage for pregnancy is by purchasing the Cancel For Any Reason upgrade. This benefit partially reimburses travelers to cancel for a reason that’s not otherwise covered, like fear of traveling while pregnant. In many cases, travelers with Cancel For Any Reason coverage don’t even need to provide a reason for their cancellation. Will Pregnancy Expenses be Covered During My Trip? Once a pregnant traveler has left for their trip, they may be covered by the Emergency Medical benefit for complications of pregnancy, however normal pregnancy is typically excluded. “Normal pregnancy” often includes childbirth and medical expenses related to the pregnancy. “Complications of pregnancy” are generally not defined by travel insurance policies. These claims will usually be handled on a case-by-case basis. Although normal pregnancy is typically not covered by travel insurance, pregnant travelers can still have medical coverage. This means they can be covered for the cost of treating a medical emergency that is unrelated to their pregnancy.